Authentic and honest conversations about mental health. Hosted by two students Ram Reyes and Paulina Rodriguez-Ruiz, each week we talk about how we are feeling — how we are actually feeling — and try to make sense of the things going on in our heads. We invite guests — ranging from our personal friends or mental health professionals — to share their stories and talk about their experiences. DISCLAIMER: We are not mental health professionals. Just two open individuals talking from experience. Please seek professional help if you are in need. On this episode of Boyz, we talk to yoga instructor Janel and explore the mind, body, and spirit connection. Janel shares how she has been able to heal through yoga, and how her practice has evolved over the years. We explore the way our bodies store trauma, and how yoga can facilitate release. Janel also shares how reconnecting with her body, and her breath has allowed her to establish balance in her life. You can catch one of Janel's classes at @toweryogafresno or @bluemoonyoga, and you can also follow her on instagram @soldejanel. Send us a voice message on Anchor or email us at boyzdocrypod@gmail.com Please consider supporting us here on Anchor. bit.ly/supporttheboyz If you enjoy our podcast, please rate/review us 5 stars on Apple Podcasts. Boyz Do Cry Spotify playlist bit.ly/boyzplaylist Follow us on the socials! Facebook: Boyz Do Cry Twitter: @boyzdocrypod Insta: @boyzdocrypod Become a supporter of this podcast: anchor.fm/boyzdocry/support This podcast is sponsored by Brandless and Anchor. On this episode we explore the benefits of Reiki, an ancient Japanese form of energy healing. Reiki is a healing modality that originated in Japan in the late 1800s. It involves the transfer of universal life force energy from the practitioner's hands to the patient. It is based on the Idea that an unseen "life force energy" flows through us and it is what causes us to be alive. If one's "life force energy" is low, then we are more likely to get sick or feel stress, and if it is high, we are more capable of being happy and healthy. Clare, a Reiki master based out of Fresno, CA, shares her practice, and path towards healing. Clare shines a light on the struggles of raising a family as a single parent while also battling anxiety. Although mental health is a lifelong struggle for many of us, she shows us the importance of developing self-compassion towards ourselves, especially on the worst days. Instagram @clare_frederick. Send us a voice message on Anchor or email us at boyzdocrypod@gmail.com Please consider supporting us here on Anchor. bit.ly/supporttheboyz If you enjoy our podcast, please rate/review us 5 stars on Apple Podcasts. Boyz Do Cry Spotify playlist bit.ly/boyzplaylist Follow us on the socials! Facebook: Boyz Do Cry Twitter: @boyzdocrypod Insta: @boyzdocrypod Become a supporter of this podcast: https://anchor.fm/boyzdocry/support This podcast is sponsored by Brandless and Anchor. SZN 2: Foundations of Love: What is Love? Is it Real? Who knows! SZN 1 Finale: What did we learn this SZN? TW: Suicide, Suicide Ideation, Sexual Abuse If you're a millennial, you've probably seen depression memes and on some level relate to it. We discuss the joys and pitfalls of identifying too much with the memes. We talk about our first mental breakdowns and the thought process of suicide ideation from the suicidal person's perspective. It's not as heavy as it sounds. Well, not to Ram or Lexi. On the original EP 02 being deleted: We had to delete episode 02 as per the other party anonymously mentioned on the original episode. We decided to delete it out of respects to their wishes. We don't know if we can ever fully talk about it without the other parties' blessing but we felt the need to address it. We want to be as honest and upfront with our audience and we thought this was the best way to go about it. Thank you for understanding. Hope you enjoy this new episode! This week, Ram talks to Ashleigh Panoo and Julease Graham, two mothers in their twenties that got pregnant during their late teens. They discuss the many struggles of being a young mother such as carving out time for themselves, managing anxiety and the responsibility--and joy--of raising a child. Julease's Video: https://www.youtube.com/watch?v=e_RsnT1BC8M Our theme song is "What's the Purpose - SO SELF EXPLANATORY" check him out on SoundCloud! SZN 1: Who are the Boyz? 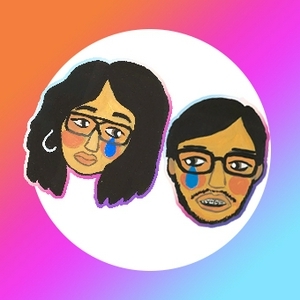 CW: Suicide, Depression, Anxiety, Sexual Trauma, Childhood Abuse In our first episode of "Boyz Do Cry," Ram and Paulina introduce ourselves and talk about why we're starting this mental health podcast. We open up about our own traumas and experiences regarding mental health. Please tune in and send us any voice messages about topics you want us to talk about through the Anchor app! We are going to have guests from time to time and talk about their own experiences. Our theme song is "What's the Purpose - SO SELF EXPLANATORY" check him out on SoundCloud!